A Medium Size, Very Thin, Colorful, Nicely Made Alba Arrow Point That Exhibits Surface Sheen And Stone Aging Coloration Patination, Correct Bulbous Stem And Overall Form, Aging In The Stem Notches, Consistent Aged Surface Deposits, Correct Material And Manufacture For The Area Found. 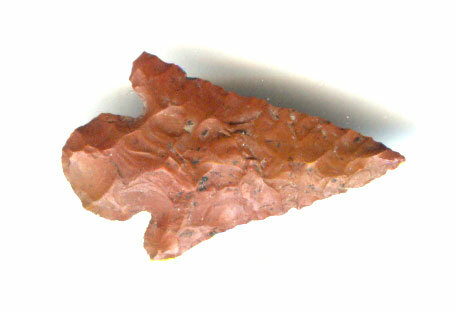 The Homan Point Is Associated With The Caddoan Culture In The Mid-Ouachita Focus And Found With Caddoan Pottery. Found By Brian Hilton Near The Ouachita River East Of The Town Of Mena, Arkansas. This Is A Very Nice, Collectible Example, Displaying Age And Excellent Workmanship. Includes A Ken Partain Certificate Of Authenticity.